NIU geologists Ross Powell and Reed Scherer in the Antarctic earlier this year. The government shutdown was resolved last week, but it wasn’t soon enough to save a multimillion-dollar NIU research project in the Antarctic. The National Science Foundation, which was funding the research, has notified NIU scientists and two participating graduate students that their planned Antarctic research season to begin in January has been canceled. Earlier this month during the partial government shutdown, the U.S. Antarctic Program moved into “caretaker status,” suspending most non-essential services. Antarctic operations are logistically complex, and even though shutdown issues were resolved last week, NSF indicated there was no longer enough time and resources to prepare for the upcoming field deployment. Given the logistical challenges to restarting the project, NIU scientists said they believe NSF made the right decision. But they remain frustrated that important research was scuttled by the government shutdown. 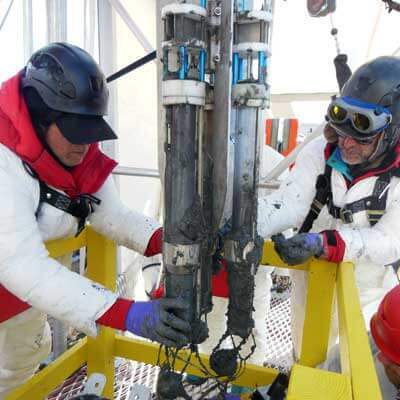 “This has turned into the project from hell,” said NIU geology professor Ross Powell, the chief scientist on the $10 million, multiyear project known as WISSARD, for Whillans Ice Stream Subglacial Access Research Drilling. 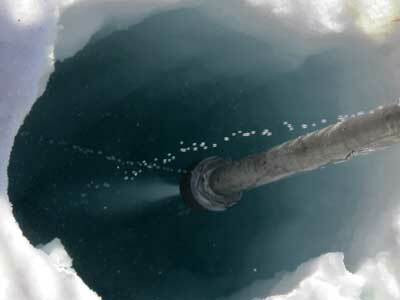 The WISSARD project used a hot water drill to bore through the ice sheet. In this final field season of the project, scientists had planned to drill a half-mile through the ice in the Antarctic wilderness to investigate the grounding zone between the ice sheet on land and the sub-glacial ocean cavity beneath the floating ice shelf. Data from the project is sought to help climate modelers predict what the future might hold for our warming planet, particularly in terms of rising sea levels that could result from melting ice sheets. In addition to the NIU contingent, more than 40 scientists and students from nine other major universities were to be involved in the coming field season, along with outside engineers and technicians. With the cancellation, most will not be going to the Antarctic, although NSF still will move forward this season with a portion of the WISSARD project that did not involve drilling to the base of the ice sheet. NSF also indicated it will accept a new proposal from the WISSARD group for the 2014-15 field season, Powell said. Powell and his NIU colleague in the geology department, Reed Scherer, have been planning for the grounding-zone research for well over a decade. “We were going to be addressing specific scientific questions that Ross and I have been working toward for our whole careers,” Scherer said. One of the key unknowns for the Intergovernmental Panel on Climate Change is the stability of the West Antarctic Ice Sheet. Scherer said this project aimed to get key measurements that would help determine the effect of ocean warming on the adjacent floating ice shelf, where it meets and buttresses the ice sheet on land. 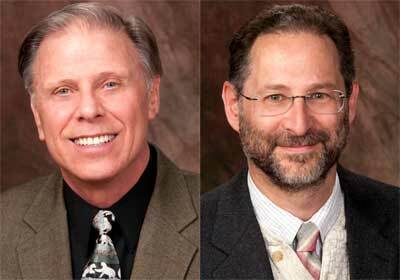 “Ultimately NSF made the right decision, given the new time constraints,” Scherer said. “We had already had the season cut back by the sequester, so the further time restrictions imposed by the government shutdown raised a real risk of failure.